1. 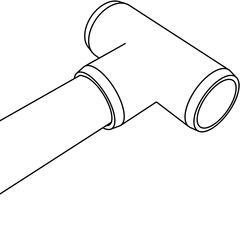 Slip a segment of PVC pipe inside one of the ports on the Tee fitting. 2. Push or tap into place until the pipe hits the stop inside of the Tee. For permanent and strong connections, it is recommended to use PVC cement to attach the PVC pipe and Tee PVC fitting. 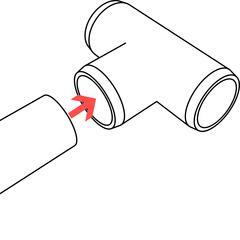 You can also temporarily connect this fitting using a threaded screw inserted through where the pipe and fitting meet.